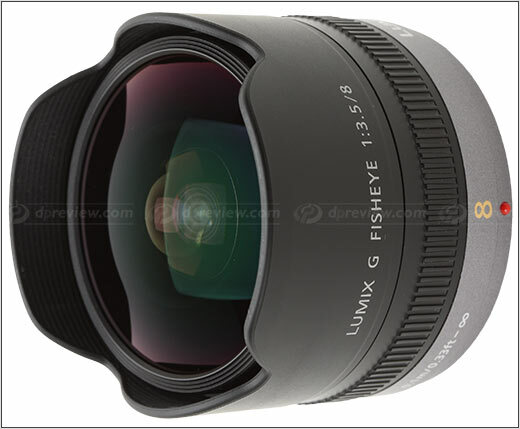 Panasonic just unveiled a new lens for Micro Four-Thirds, an 8mm f/3.5 fisheye offering a 180 degree field-of-view. Frankly, I would have preferred to see more development by means of faster, more useful primes. A fisheye is a “fun” lens on occasion, but I don’t own one for my Canon system. Why would I get one for my Micro Four-Thirds body in favor of the system with the bigger sensor…especially since the announced price makes them comparably priced? Yikes. You can read the rest at DPReview.com. Also, you can view the currently-available Micro Four-Thirds lenses from both Olympus and Panasonic on the Four-Thirds Web site: http://www.four-thirds.org/en/microft/lense.html.